Definitely hoping to do the front LTW tray next. Work has been ****ing stressful lately. Wife is working night shifts. A drive to the beach to watch the sunset is some good therapy I needed. Last edited by westopher; Wed, May-04-2016 at 04:34:30 AM. Gorgeous car man! Love the beach shot. I like the ambers a lot more than clears but that last beach shot makes a strong argument for them, car looks so clean. Great picture. Personally I hate them with a passion. Looked way better with ambers. Reason I hate them (well rears are ok-ish, front not) is because the fronts have grey inners instead of black. So they look way out of place next to the OEM headlights with black backing. 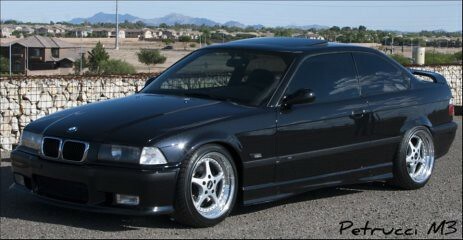 This is one of the instances where blacked out aftermarket front indies look better than the OEM ones. That pic is great yes, but same pic with ambers, you would have voted for the ambers. Yep. 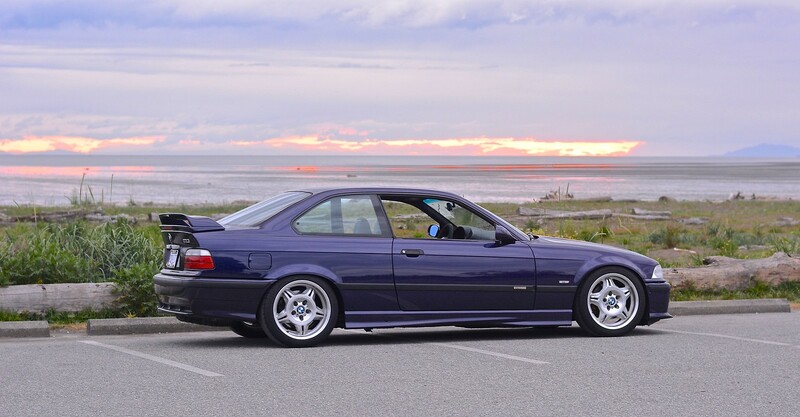 I agree with you, I don't mind the taillights so much but one of my favorite bits of styling on the E36 is how the amber front corners POP on every single color, I love it. did your alcantara steering come with the car? do you think the flat bottum version suits the era of the car? Purchased the alcantara wheel separately. Never came stock on these cars. I like flat bottom wheels, but that one looks terribly done. It would need to be cut about half inch higher to actually have the bottom where it is supposed to be to keep the bottom sides to actually continue the same angle as the top for curvature. You can see they are oblong in order to allow the bottom to be flat. Thanks for the complements on the photo this page guys. Its one of the favourites I have ever taken of the car. Don't know if you remember this, but I wanted Tainik's wheel because of your car and my GF, now wife, found your original thread (because she knew where to look because I showed her my dream wheel) and PMd you for details. She bought it for me as a Valentine's present. All times are GMT. The time now is 06:32:39 PM.